Why is it important to look after your roofs in the summer? Experienced Leeds roofing company, DPR Roofing, urges homeowners and commercial property owners to continue to inspect their roofs regularly even throughout summer, when many people would expect roofs to be subjected to a lower level of weather damage. 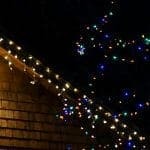 This is because our weather is actually varied and unpredictable even through the summer months, and frequent changes in weather conditions can be just as harmful to the condition of your roof as the winter months. •	Carry out regular inspections – why not make a note to inspect your roof at the same time each week. DPR suggests that the morning is the best time to inspect a roof in the summer, before the heat of the day has softened the fabric. This is especially important if you are intending to inspect the roof at close quarters, but DPR reminds everyone that safety is paramount, and as a company with an excellent reputation for safety, DPR reminds roof owners that binoculars can be invaluable in safe inspections of roofs! •	Look for uneven surfaces in your roof fabric, which may indicate damaged or dislodged tiles, or damaged roofing fabric. This type of damage should be attended to immediately to avoid water ingress, or further storm damage. DPR can assure Yorkshire homeowners that prompt action to rectify a problem when it occurs will be more cost effective than delay. •	Check your gutters. Leeds Roofers DPR advise that keeping gutters clear will help to preserve the fabric of your building, ensuring that rainwater drains away promptly and safely. If you do not fancy tackling the messy job of cleaning your gutters yourself, call in DPR, the professionals, for a regular clean and inspection. DPR reminds everyone that gutters will inevitably require clearing at least once a year, and more frequently if situated underneath trees. •	In the summer, it is wise to check the temperature in your attic. If the attic has inadequate ventilation, too hot a temperature may be reached, causing roof surfaces to become damaged. 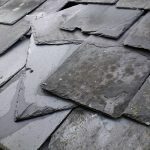 While temperature in the attic should be checked on a hot day, it is also important to check for water ingress when it is raining, as this is a clear sign that your roof has suffered some damage. Leeds roofing company, DPR, offers a comprehensive roofing maintenance and repair service to Yorkshire homeowners and commercial premises. Where roofs are concerned, it is certainly true that prompt remedial action whenever a problem occurs goes a long way towards reducing the costs of keeping your roof secure and watertight. Call the experienced roofing team at DPR on 0113 335 0043 for further advice on keeping your roof in a good state of repair.